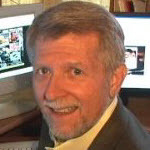 John Daigle is president of Evergreen Online Learning, LLC, based in Evergreen, Colorado. A frequent speaker at national eLearning and technical writing conferences, John is a Certified RoboHelp and Adobe Captivate Instructor. He has taught RoboHelp since 1992 and Adobe Captivate since it was introduced. His speaking engagements include WritersUA and LavaCon conferences as well as Annual STC Summits. John is a member of the Society for Technical Communication (Rocky Mountain Chapter) and has a Bachelor of Science degree in Journalism from the University of Houston. He began his career in broadcast news as a reporter for the NBC television affiliate in Houston, Texas. He is also a member of the Associate Faculty of Metro State University of Denver where he teaches RoboHelp and Captivate for college credit toward a four year degree in Technical Communications.